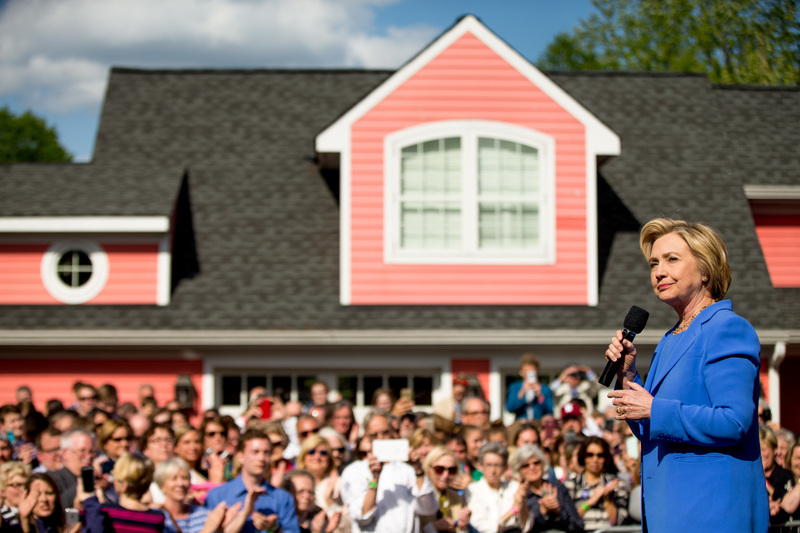 Can Hillary Clinton End the Southern Strategy Forever? Demographic shifts mean that, for the first time in half a century, Democrats have a real chance at winning states in the South and Southwest. In April, I asked Hillary Clinton if she planned to build on the country’s changing racial population by contesting Georgia and Arizona. She was noncommittal. A campaign donor who had read my book on the coming demographic revolution in America, Brown Is the New White, invited me to participate in a small roundtable discussion with her in San Francisco, where I asked her if her campaign was planning to expand the map of states it would contest. She acknowledged the potential opportunities brought about by the demographic shifts but was not prepared to commit to that strategy. This week, however, her campaign announced that they will, in fact, make a play for those rapidly changing Southern and Southwestern states. That’s great news. If the rest of the progressive movement now rallies to the cause over the next 87 days, we can drive a stake through the heart of the politics of racial resentment. After decades of Republicans using coded—and not-so-coded—appeals to white racial fears, defeating Trump and his unapologetic practice of demonizing people of color will definitively prove that there aren’t enough angry white people left in America to win a national election. Redirecting $20 million from the roughly $500 million still to be spent by Democrats and progressives can turn the traditionally red states of Georgia and Arizona blue, crush the campaign of Donald Trump, increase the size of the Democratic majority in the Senate, and put in place the cornerstones of a future, practically impenetrable Electoral College fortress anchored in the swelling ranks of voters of color. Up until now, conventional wisdom held that this election would be decided in the Rust Belt states of Ohio, Pennsylvania, Wisconsin, and Michigan where Trump, the logic goes, has an opportunity to win over enough angry white working-class voters to turn those states red. As a result, the Clinton campaign and its supportive independent allies have trained their firepower on those states, targeting them with tens of millions of dollars in paid ads. While those states likely do represent Trump’s only path to victory and absolutely need to be defended (which is best done by mobilizing voters of color rather than wooing conservative white swing voters), there is another, historically significant and highly strategic, step that can be taken for just a fraction of the amount of money that will be poured into ads in the Midwestern battleground states. That is, contesting those states in the South and Southwest where the growing numbers of people of color make Clinton competitive. The best way to respond to racial backlash is to face it head-on and double down on the population shifts behind it. The best way to respond to this kind of racial backlash is to face it head-on and double down on the very population shifts that have driven so many people to distraction. Long before he launched his most recent campaign for president, Trump has riled up his supporters with anti-black rhetoric, from his crazy birther conspiracies designed to delegitimize President Obama to tough-guy talk about cracking down on “thugs” and the Black Lives Matter movement. In his campaign, he soared to the top of the polls right after demonizing immigrants of Mexican descent by claiming that “they’re rapists” and promising to build a wall to keep “them” out. What better way to destroy this vile form of politics than to go all-in on black and Latino voters and ride their rising numbers all the way to the White House, a significant Senate majority, and a progressive Supreme Court pick? Now is a perfect moment for such a strategy. Clinton is currently tied or leading in the most recent polls in Georgia and Arizona, and an “all-hands-on-deck” strategy to turn out hundreds of thousands of African-American and Latino voters in those states can, at an affordable cost, deliver the election to the Democrats and consign George Wallace-like politics to the dustbin of history. From the time Americans first imported Africans to work in chains in the fertile, cotton-growing soil in the Black Belt South, Georgia has always had a large population of African Americans (35 percent black at the time of the first census in 1790). Over the past 40 years, African Americans have engaged in a reverse migration back to the South, with Georgia being a popular destination. Today, Georgia is the third-blackest state in America (after Mississippi and Louisiana) with African Americans making up 32 percent of the state’s eligible voters. The state’s white population has shrunk to 53.9 percent (60.6 percent of eligible voters), meaning that if you earn the lion’s share of the votes of people of color, you don’t need a whole lot of progressive whites to win an election there—23 percent of all whites, to be exact. Obama received 98 percent of the black vote in Georgia in 2008, and many recent polls have Trump receiving 0 percent to 2 percent support from African Americans. If all the racial groups turn out in the numbers they did in 2008, and Clinton receives 96 percent of the black vote (slightly discounted, since she isn’t Obama), 67 percent of the Latino vote and 62 percent of the Asian-American vote (Obama’s 2008 shares nationally), she could win with just 23 percent of the white vote. And that is the precise percentage she is receiving in the latest polls. Of further strategic advantage is that Georgia has a highly sophisticated and effective progressive infrastructure that can be built on to achieve victory in 2016 and continue to consolidate power in the upcoming years. The BLUE (Building Leaders and Uplifting the Electorate) Institute, organized by House minority leader Stacey Abrams, brought together 44 young activists of color and organizers to receive training in running campaigns from leading experts such as Jessica Byrd of Three Point Strategies and Alida Garcia of diversity talent bank Inclusv (full disclosure: I’m a co-founder of Inclusv). In addition, Abrams organized and conducted the largest and most successful Georgia black-voter registration drive in decades since 2014, putting more than 100,000 people of color on the rolls from 2014–16. This infrastructure of talent, organizational capacity, and savvy leadership can continue to propel Georgia into the progressive ranks as we move towards redistricting in 2020 and 2021. A promising electoral calculus and historical resonance are also present in Arizona. Formerly a part of Mexico, and now sharing a border with our Southern neighbor, Arizona has been on the front lines of the struggle for immigration reform for years, and some of the most high-profile opponents of change—such as Sheriff Joe Arpaio and former governor Jan Brewer—are political leaders in the state. Today, Latinos make up 26 percent of all Arizona eligible voters, and when you add in the numbers of Native Americans, African Americans, and Asian Americans, people of color make up 39 percent of all eligible voters in the Grand Canyon State—similar to Georgia, where whites make up just 61 percent of the eligible voters. The latest Arizona polls have Clinton trailing by just 2 percent, with the support of 67 percent of Latinos and 34 percent of whites, and that’s with Latino making up just 18 percent of the estimated voters, far below their numbers in eligible-voter population. A massive mobilization effort that swells the number of Latino voters in the electorate would further reduce the number of white voters needed to win. If all that weren’t enough to motivate progressives, both Arizona and Georgia have Senate races that offer pick-up opportunities for Democrats if enough people of color are brought to the polls. The demographic revolution is irreversible, but its transformation of US politics can take place over months—or years. Victory in Georgia and Arizona is not only imaginable; it’s achievable and affordable. African-American voter mobilization expert Marvin Randolph, architect of the NAACP’s massive 400,000-person voter-registration effort in 2012, estimates that it costs $28 per person to register and turn out an infrequent voter of color. For $20 million, more than 700,000 voters of color can be galvanized in Georgia and Arizona, delivering those states to the Democrats. In 2014, the progressive outside groups seeking to defend the North Carolina Senate seat held by Kay Hagan spent $19 million on negative ads alone. This year, Democratic outside groups are on pace to spend $500 million, and Clinton’s campaign is marching towards spending $1 billion dollars. The demographic revolution is irreversible, but its transformation of US politics can take place over years—or over months. If we go all-in in Georgia and Arizona over the next 87 days, we can put an end this year to the politics of racial resentment and bigotry. Editor’s note: An earlier version of this article misidentified Arizona as the Silver State. In fact, it is the Grand Canyon State. The text has been corrected. Steve PhillipsTwitterSteve Phillips is a national political leader, civil-rights lawyer, author, senior fellow at the Center for American Progress, and the founder of Democracy in Color, an organization dedicated to race, politics, and the New American Majority. He is the author of the New York Times best seller, Brown Is the New White: How a Demographic Revolution Has Created a New American Majority. He is a regular contributor to The Nation.